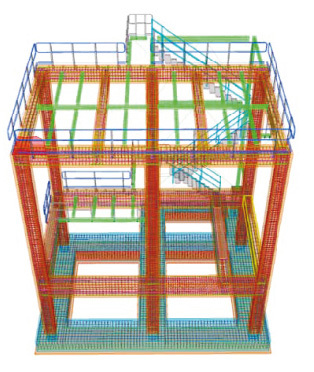 What Can A Structural Engineer Firm Do For You? Have you been wondering how structures like Eiffel tower in France or the tallest building in Dubai came into being? These ingenious pieces of engineering came into being through the knowledge of structural engineers. So what is structural engineering? It’s a branch of engineering that deals with design and analysis of structures to resist or support applied forces. Civil engineering is the mother of structural engineering. In the United States, structural engineering is a subset to Civil Engineering; however, in many other countries it is studied as a major in its own right. Structural engineering is very important to society as its principles literally form the backbone of the infrastructure on which society depends. Structures are ubiquitous in the modern world and appear in various forms. Sure we all know about common structures such as houses, buildings, towers, etc… However, few stop to think about how the principles of structural engineering are applied in various other aspects of our lives. The following are examples of when the principles of structural engineering are applied directly outside of traditional structures. Mechanical engineers help create a large variety of tools we use at all levels in society. From large pieces of equipment used to generate electricity to developing automobiles, mechanical engineering touches all aspects of our life. Many mechanical engineering projects rely on the principles of structural engineering to design and develop structures to support equipment or design the frames of automobiles. In some cases, a structural engineer may be enlisted to provide the design of these structures.